800 Series - 30 inch Full Depth - Gas Slide In Range Love a sleek, built-in look but only have room for a range? Replace your freestanding range to a slide-in range without changing cabinetry or countertops. 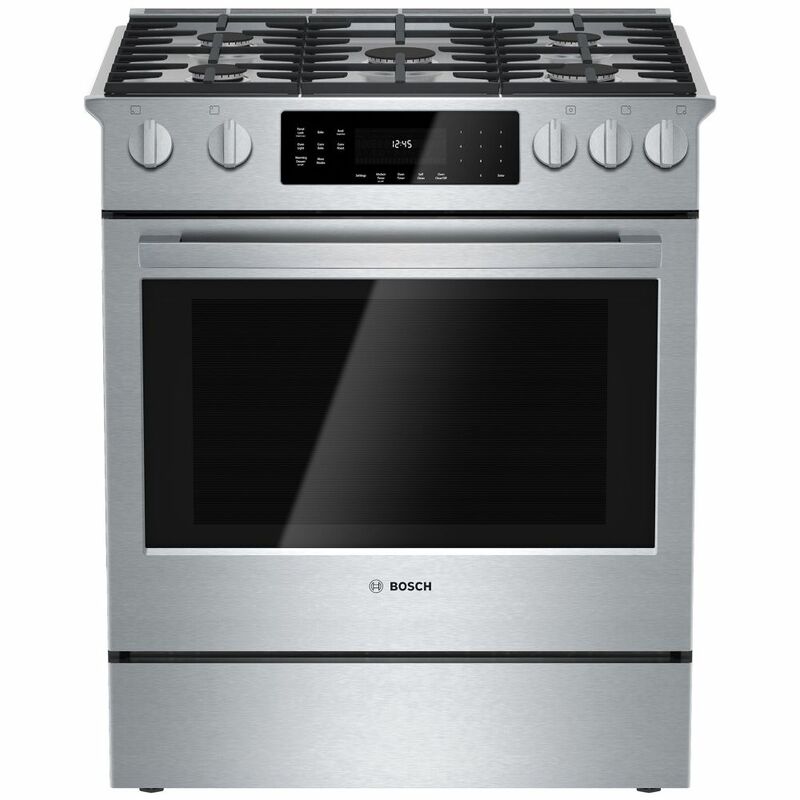 These sleek, full-depth ranges optimize counter space, offering five burners, ovens with European convection and a convenient warming drawer. Available in gas, dual-fuel, induction and electric. 800 Series - 30 inch Full Depth - Gas Slide In Range is rated 4.8 out of 5 by 17. Rated 3 out of 5 by Helen from There is a terrible smell that emanates from the oven... There is a terrible smell that emanates from the oven when first used. According to the manual it will disappear in time. I love the five burners on the range top. The fifth burner really came in handy during holiday cooking. Rated 5 out of 5 by VG from The range is heavier than most, but the installation is not so bad if you remove the door, warmin... The range is heavier than most, but the installation is not so bad if you remove the door, warming tray and burners before moving the range into place. Looks and works great. Rated 5 out of 5 by DByrne from Great looks and user friendly! My wife and I bought this a couple of weeks ago and it looks and fits great in our remodeled kitchen. User friendly controls and love the low profile. Was torn between this and another product and am so glad I went with the Bosch. Our microwave is right above the range so space was critical. All the other products were at least 1" higher with the types of grates over the burners they were using.